I did a little bit of research on homelessness in the state of New Hampshire and in my local town Dover. In a homeless report by the Department of Health and Human Services in New Hampshire in 2012 there was 2,010 homeless people. In Dover, there were 16 people sheltered, and 5 people left unsheltered. There is one homeless shelter in Dover, My Friend’s Place. This appears to be a pretty good place, and if you travel further, which is not realistic for most homeless people Cross Roads and other shelters are an option. Food pantries are plentiful in Dover. There are at least 7 pantries, some limited by income restrictions. The problem with food pantries, is that people who are homeless don’t have a way to cook most of the food. When it came to Soup Kitchens it was harder to find, more than Dover Friendly Kitchen serving on Tuesday and Thursday. I started my research making a call to City Hall, no one could help me immediately. I thought to myself what if I was homeless and really needed this information right away this morning? The lady on the phone, took my number and promised to call me back. We shall see, I will keep the phone close to me. I am happy to get to the Friendly Kitchen, as I want to meet the people in the community, and find out through time the various ways to volunteer in a bigger way in especially Dover. Right now, I am armed with a food pantry list, and Cross Roads supplies list and I am going to the store. I am going to by some food for donation, as well as supplies for Cross Roads the shelter. I am needing to go through my towels and face clothes, the woman told me they really needed towels and face clothes. I am so over-filled with towels and face clothes I can probably give at least half of mine away. I am so grateful to Eugene, to have brought me to this place with homelessness. I am learning a bit, and doing what I can, and I will be patient and wait till its right, to figure out how to get more involved. I don’t want to step on anyone’s feet, just enthusiastically get myself involved in the daily life of the homeless person. Off to shop and drop my donations off. I will come back and get ready for volunteering tonight. Just a bit afraid of not being received, I will try to play it down with my clothes, and just blend into the crowd. I am certainly looking forward to seeing Eugene. Who deserves so much credit, for being open with his own life, and letting me so graciously enter. I will make it a point to call him after the dinner. 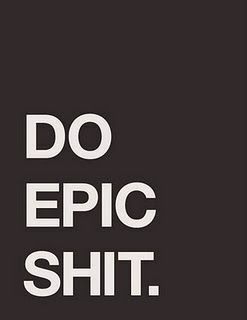 Until later or whenever I blog, I wish you all an Epic day, and oh by the way do something epic today!